I am the owner of a 1981 Automatic which I finally got running a week ago (curse you, "live" fuel pump!). In addition, I operate the VA Comicon in Richmond. It has always been my dream to own a Time Machine. I am trying for a low-budget "non-destructive" Time machine conversion, cutting some corners to achieve an overall look. I wish I had a ton of $$ to do it movie authentic, but I am still paying off the car itself. Hah! Yup...that's my budget. My hope is to have the entire mod be removable without leaving a scratch using suction cups. Sounds crazy, I know. My goal is to have the entire mod done by November so I can bring it to the VA Comicon that I Run at the Raceway to try to raise some $$ for charity with it. If there are any other Delorean owners who would like to have their car on display at the show, PLEASE contact me at info@vacomicon.com. Thanks! Have you tried a suction cup on the stainless? I was never able to get one to stick as the surface isn't smooth. Hi...we messed with "dent pullers". It does ONLY work on the flattest of surfaces, with a slight moisture bond. the 4 1/2 inch one held on for quite some time. My new plans calls for smaller ones. My backup plan is use the existing bolts in the back above the rear window. Not ideal though. Glad to hear you're doing this with a charity organization in mind. I'm not sure what you're plans are exactly with suction cups but keep in mind that they do not work (for very long) on a brushed stainless steel surface. The most common way for people to find this out is by mounting a go-pro camera to the exterior of their car only to have it fall off a short while later. The straight line grains of the brushed surface do not allow for a suction cup to remain attached as it would on a smooth surface. If you're planning on driving this car at all at any speed with the time machine props attached be 100% certain that parts aren't going to come flying off into traffic. I wonder if you could attach rare-earth magnets to the inside of the body panels and also on the props, e.g. the flux bands etc. Invisible to the eye but very strong. Where do you plan on getting decals for the rear windows? I saw a picture of decals like that on a car before, and messaged the owner for details, but never heard back. 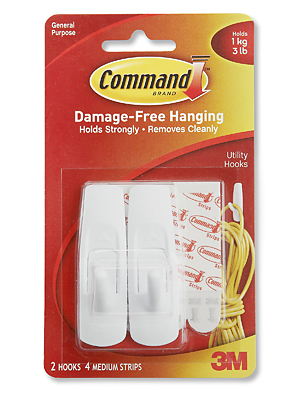 Those command adhesive strips work well and don't leave any residue on the stainless or fascias. I decorate Red every year for the local Chistmas parade and I use that to hold the garland on.